Do you have history at Año Nuevo State Park? Our past stretches back to Spanish times and covers everything from the Steele Family dairy ranchers to the Año Nuevo lighthouse keepers. If your family was once part of the parks past we would love to hear from you. 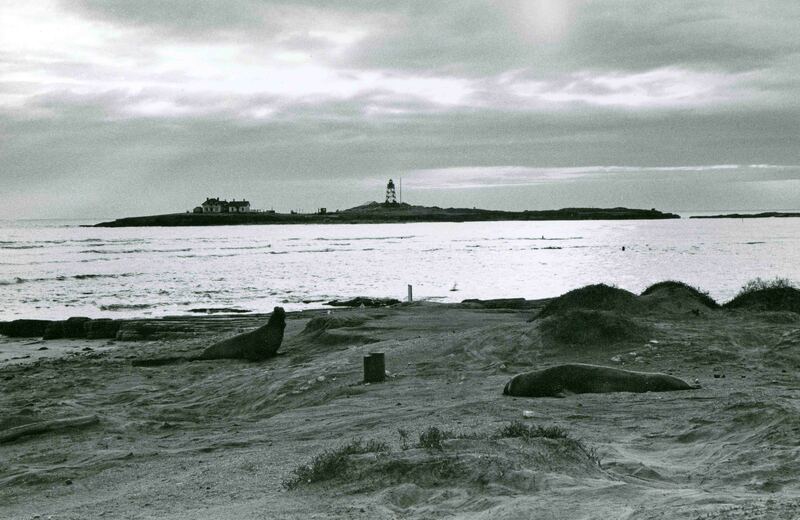 Año Nuevo Point was named on January 3, 1603, by Father Antonio de la Ascension, chaplain for the Spanish maritime explorer Don Sebastian Vizcaíno. A few days earlier, the ship's company had gone ashore at Monterey for wood and water, but they did not land anywhere near Año Nuevo. If they had landed, they would have discovered that the area was occupied by the Quiroste, a group of Ohlone Indians, who lived here at least on a seasonal basis in order to hunt, fish, and gather abalone and other shellfish from the sea. The Quiroste were a significant and wealthy tribe in the central California coast region. This wealth was based on the bountiful resources and location of their territory. The location that the Quiroste tribe called home was situated between the rocky coast and forested coastal mountains. Their wealth was derived from the materials for tool-making and currency found on their territory. 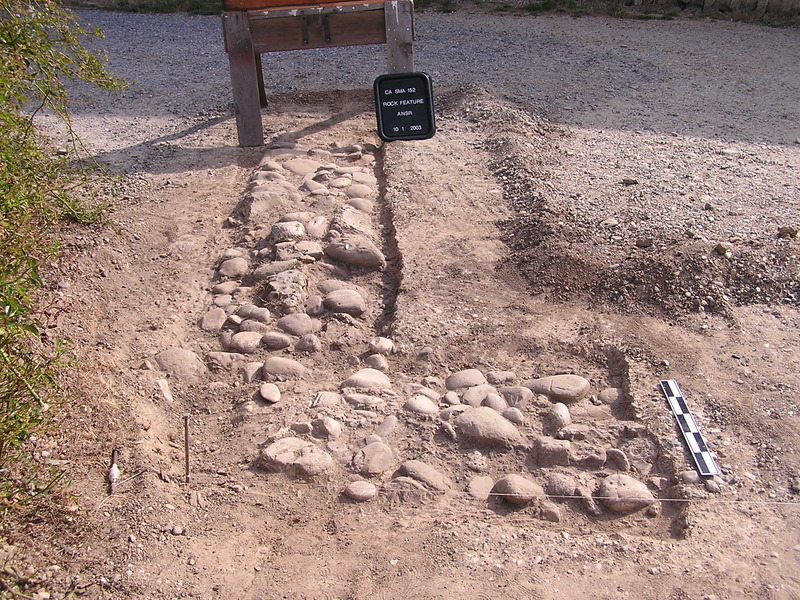 The preferred material for stone tool making in the region was Monterey chert. The main quarry for Monterey chert was located on a seldom exposed reef off of Año Nuevo Point. The Quiroste became the sole suppliers of this highly prized lithic material to the surrounding regional tribes. Another source of their wealth was olivella shells which were used as currency in prehistoric California. As the olivella shell bead currency trade began to expand throughout the area, the Quiroste gathered the shells and monopolized the developing prehistoric economy. In essence, they became the treasury of these shells and could control the export of this highly valued resource. These assets and wealth, along with their natural territorial fortifications of mountains and sea, allowed the Quiroste to establish their strength and prominence as a Tribe. Ohlone contact with Europeans finally occurred in 1769, when the "Spanish Governor of the Californias," Gaspar de Portola, led an overland expedition northward in search of Monterey Bay. The ailing expedition arrived at a Quiroste village on Whitehouse creek with many of its men in bad health. The Quiroste welcomed the foreign visitors and nursed them back to health. After a few days they offered guides to the expedition and led them out of their territory. 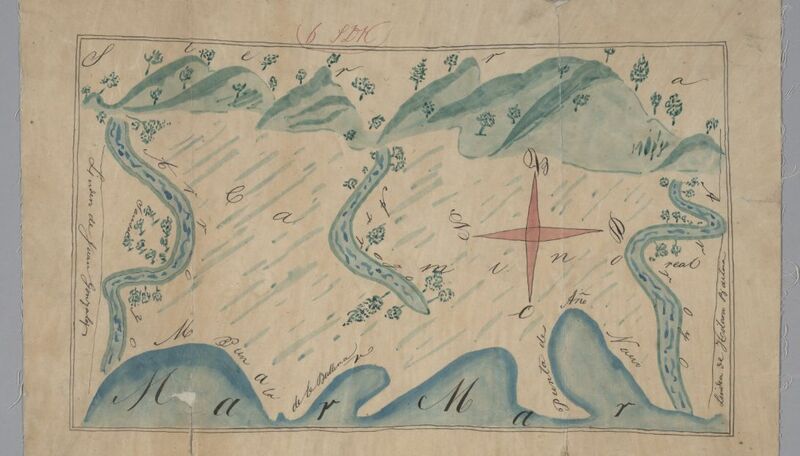 The Portola Expedition went on to “discover” the great bay of San Francisco. If the Quiroste had not welcomed and cared for the explorers, the expedition might not have gone on to make this great discovery. The strength and prominence of the Quiroste was challenged as Spanish Missionaries sought to subjugate the native peoples of the area. After Mission Santa Cruz was founded in 1791, hundreds of Ohlones, including the Quiroste, were baptized and brought into the mission where they contracted various European diseases, lost contact with their native culture and died in great numbers. Nonetheless some survived and their descendants continue to live in the region and continue to visit Año Nuevo. During the late 1700’s and early 1800’s the Año Nuevo region was used for grazing of livestock from the Santa Cruz Mission, which reportedly owned over 2,900 head of cattle. Native Californian Indians tended many of these mission herds in what were termed the ranchos, or outlying grazing areas. By 1825, 16 men and one woman were stationed somewhere in the Año Nuevo region to attend to these herds, which extended as far north as Pescadero. The cattle produced not only beef but hides and tallow, which were the main exports for the area. In 1834, the entire mission system was dismantled, and all land holdings were secularized and subdivided. The mission lands were granted to the government to be deeded to private citizens. Año Nuevo became a private rancho in 1842, when Governor Alvarado officially granted the area to his uncle, Don Jose Simeon de Nepomuceno Castro, a prominent resident of Monterey. Largely through caretakers, he ran large herds of cattle on the land, as well as grew wheat, corn, melons, and potatoes. In 1851, Castro's heirs sold the 17,753-acre rancho to the rough and tumble American frontiersman, Isaac Graham. He leased much of the land out for cattle ranching. Some reports claim that he constructed one of the first houses in the area, known thereafter as the Isaac Graham House (or the White House) on Whitehouse Creek. It is more likely that the house was built by one of his lessees, a man named Van Houghton. Because of financial troubles, Graham was unable to hold on to the property, and it was sold in 1862 to John H. Baird, for $20,000. Baird quickly turned the property around to Loren Coburn for $30,000. Coburn was a shrewd businessman, and soon leased much of the land to a northern California family dairy enterprise by the name of the Steele Brothers that continued for some 80 years. 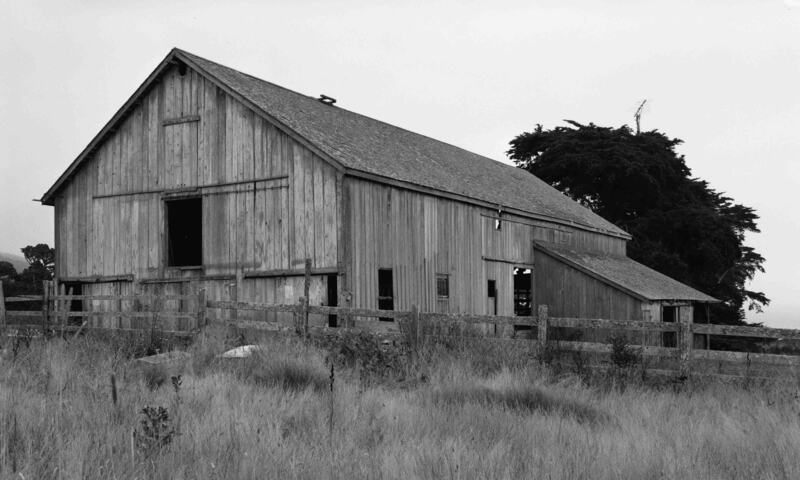 The old barns and other historic buildings at Año Nuevo are relics of the Steele Brothers Dairy. In 1862, the Steeles leased 17,763 acres from Coburn for $6,000 per year for ten years plus all taxes. A stipulation allowed for the Steeles to buy 7,000 acres of the ranch south of Gazos Creek when the lease expired. The Steele brothers then established a firm consisting of Isaac, Edgar W., George, and R.E. Steele along with Horace Gushee and Charles Wilson. The Steele dairies initially consisted of five distinct ranches: Green Oaks (Isaac Steele), Pocket Dairy, Cascade Ranch (R.E. Steele), White House Ranch, and the Cloverdale Ranch (Edgar W.). The Steeles gained fame for their creation of a huge 3,850-pound block of cheese, which was displayed at the Mechanic’s Fair in San Francisco in 1864. The block was sold for $2,830, and the proceeds donated to the Sanitary Fund of the Union Army. The Steeles prospered, selling both cheese and butter. By the early 1870’s, the Steele Brothers were reportedly the second largest owners of milk cows in the state. In 1872, the Steele Brothers dissolved their partnership, although each of the members continued in the dairying business. Soon after arriving, the Steeles gave William W. Waddell a right-of-way across their land in order to build a landing and wharf. He chose a spot approximately 500 yards west of Año Nuevo Creek, where the water was deep and there were no dangerous reefs. By 1864, Waddell had completed his 700-foot pier with a swinging chute at the end to serve deep water schooners. At one point the wharf was handling two million feet of lumber per year. Waddell extended a wooden tramway from his mill to the landing and wharf. This right-of-way eventually served as the route for the county road, which evolved into the Ocean Shore Highway (State Highway 1). For the next 13 years, this wharf served Waddell’s mill, along with other mills in the area. The presence of the wharf helped to create a small community which became known as Waddell’s Landing. It contained a lumber yard, warehouse, and a store, as well as other buildings. Horace Samuel Steele became the postmaster and store owner. In 1878, Effie Steele, the daughter of pioneer dairyman Isaac Steele, married Edwin Dickerman, a Vermont born Civil War veteran who was working at Waddell’s Wharf.. They received that portion of Isaac’s ranch to enter the dairy business that now encompasses the Marine Education Center. Their ranch was referred to by many names, including the La Punta Ranch, Cypress Point Ranch, as well as the Dickerman Ranch. Over the ensuing years, they constructed multiple buildings on their property. Timbers from the destroyed Waddell Wharf were used in the construction of the large dairy barn and horse barn. The adopted daughter of Edwin Dickerman and Effie Steele, Flora, eventually married a distant cousin Jay Steele and lived her entire life at the ranch. Upon Flora’s death, portions of the ranch were granted to the state. Their daughter Mildred married George Elliot, and they lived on the remaining property. The rest of the ranch was sold to the state in 1968. After World War II, changes in the dairy industry and new irrigation technology brought intensive row-crop farming to the Año Nuevo area. Windbreaks of Monterey cypress were planted (some of which still survive), irrigation ponds were built, and straight rows of brussels sprouts were planted in the area just east of Año Nuevo Point. The area was purchased by the State of California in 1971, and today recolonizing plants are slowly erasing the scars left by agricultural activity and the sand mine operation that was carried on during the 1950s for the construction of State Highway One. As ship traffic increased along the California coast during the early 1800s, the often foggy, rock-strewn shoreline along this part of the coast became well known to mariners as exceptionally dangerous to shipping. Two fine new clipper ships were lost on the rocks between Año Nuevo and Pigeon Point during the 1850s, and other maritime tragedies occurred in later years. To warn mariners, the federal government installed a fog whistle on the island in 1872 and added a five-story light tower in 1890. An automatic buoy replaced the station in 1948.